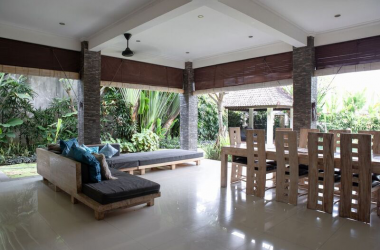 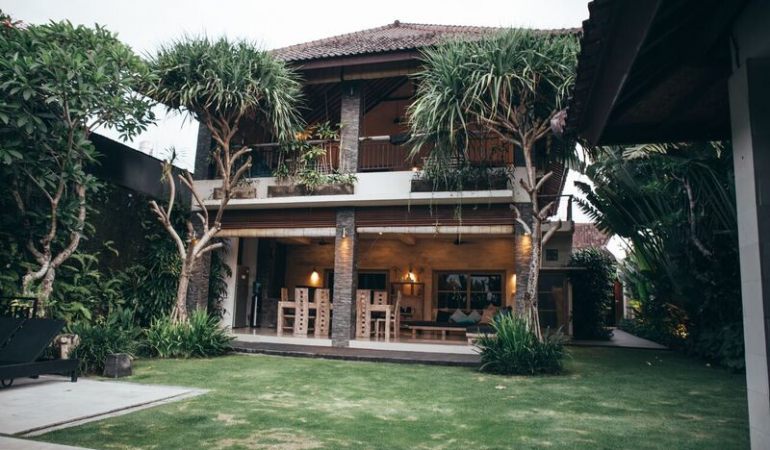 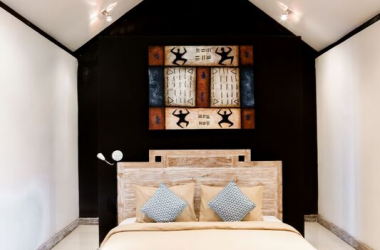 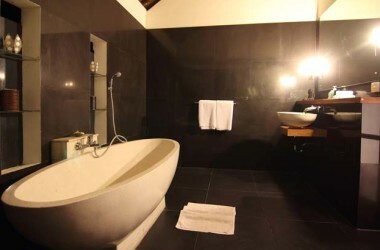 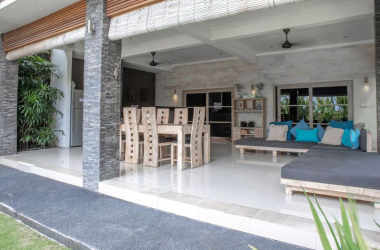 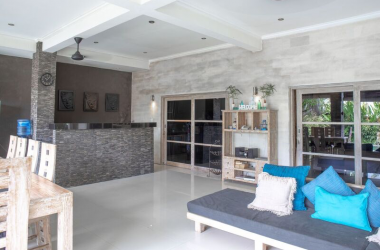 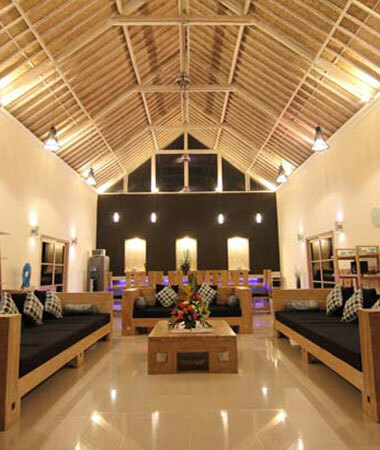 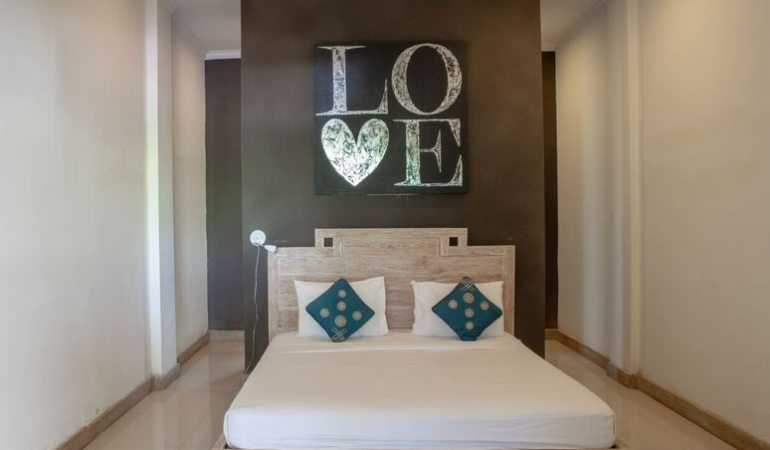 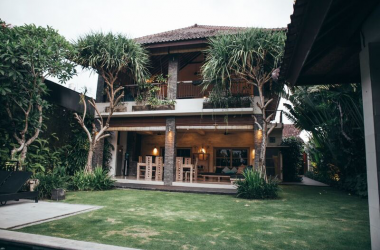 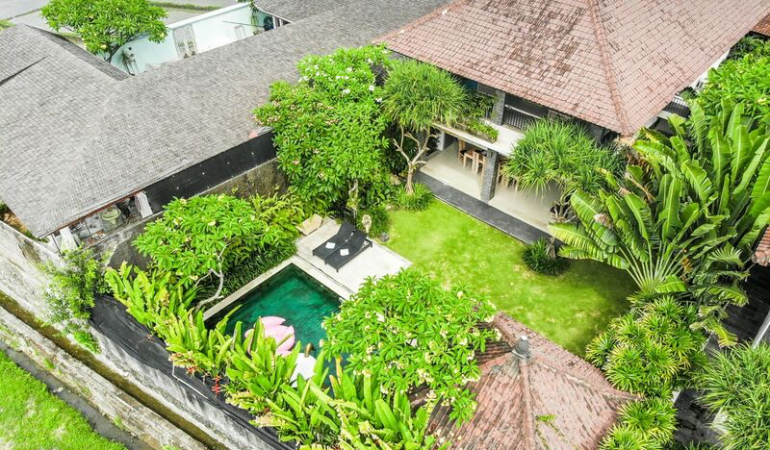 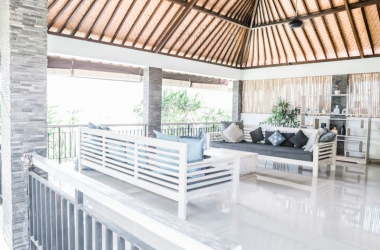 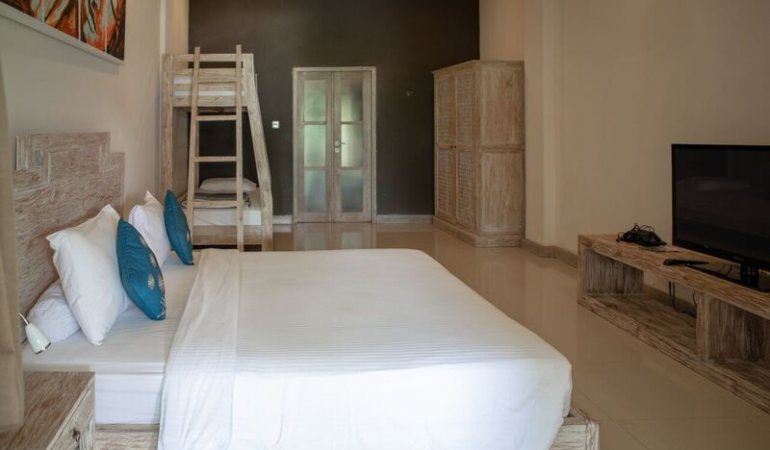 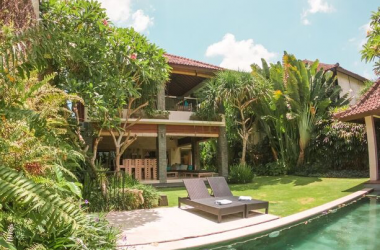 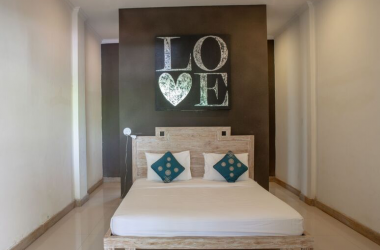 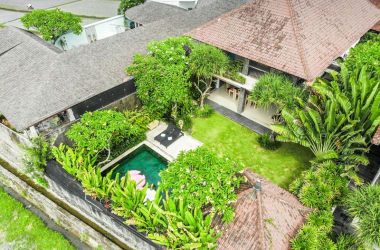 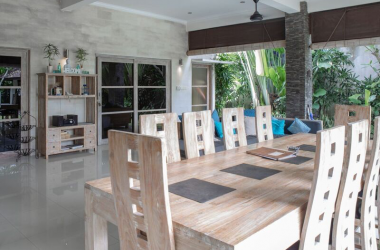 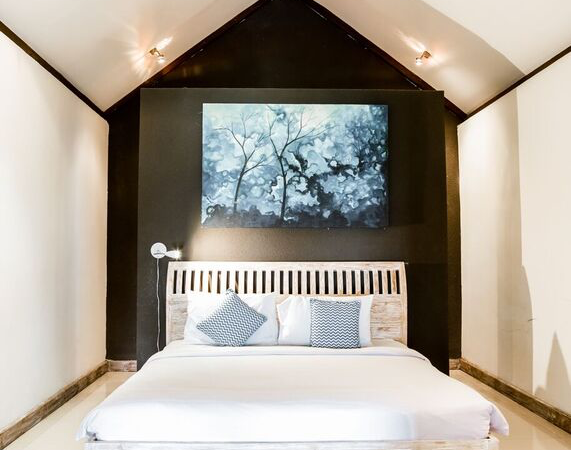 This villa is a Four Bedroom Luxurious Bali Villa with 4 bathrooms. 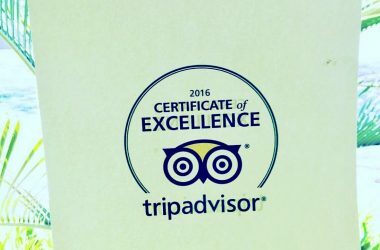 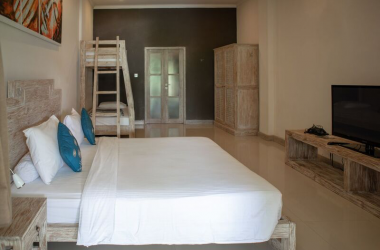 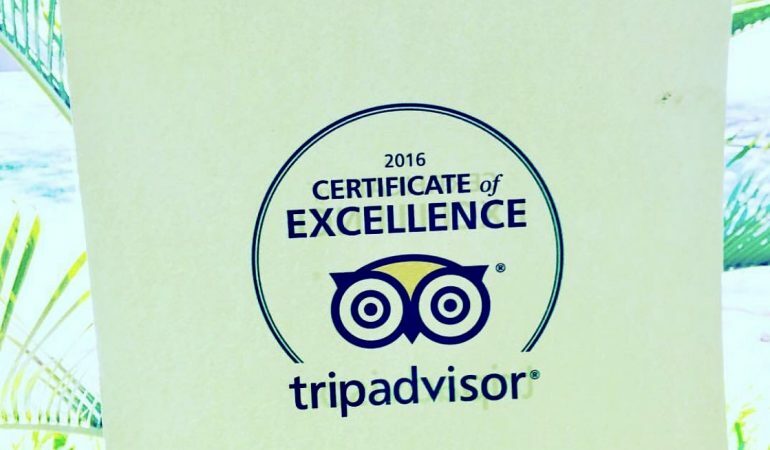 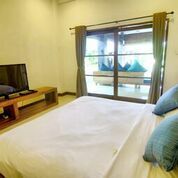 All are large air-conditioned bedrooms with ensuites. 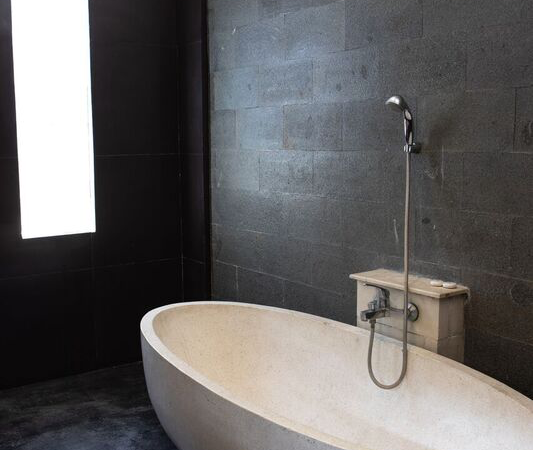 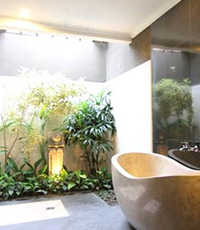 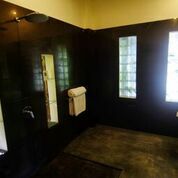 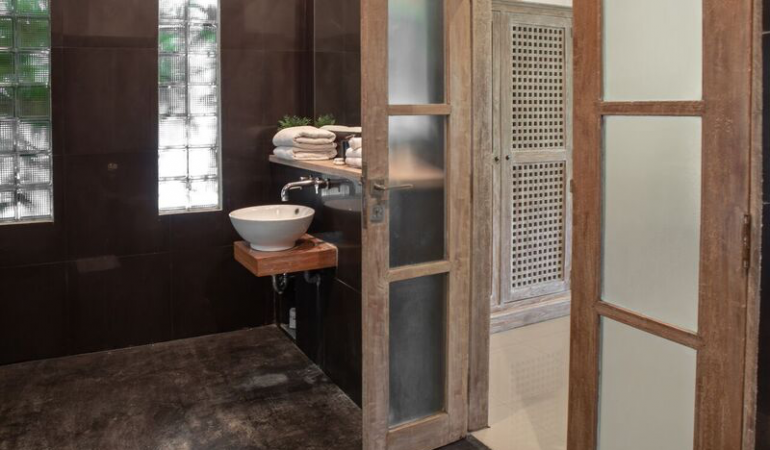 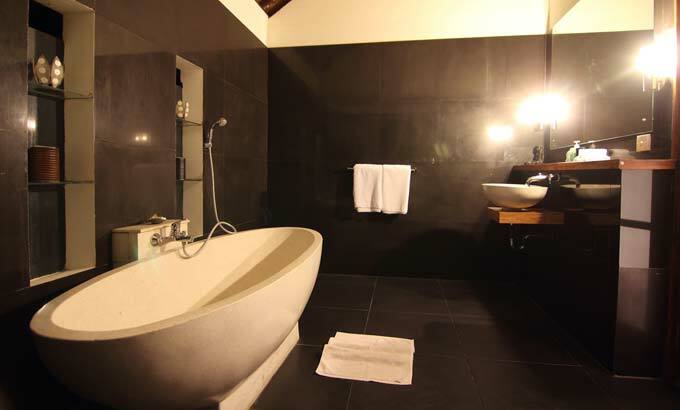 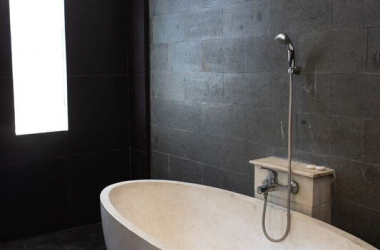 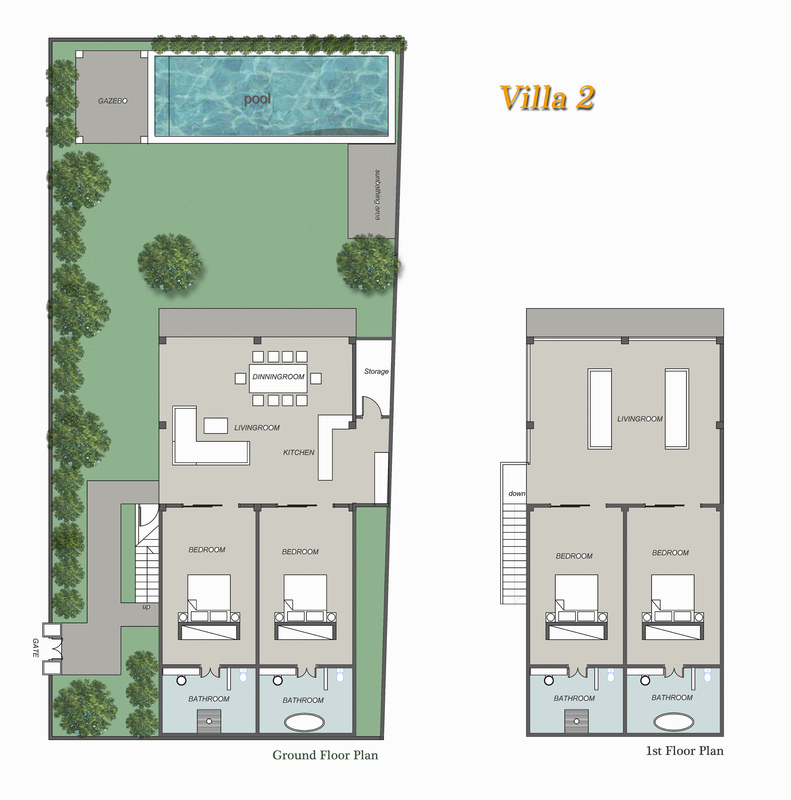 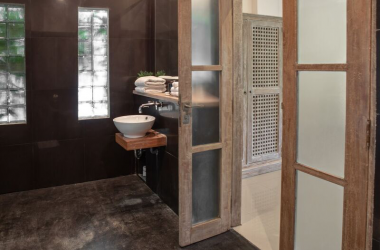 Two of the ensuites have large showers and two have freestanding baths with showers and stone basins. 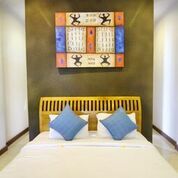 One of the bedrooms is set up as a family room with a bunk bed also. 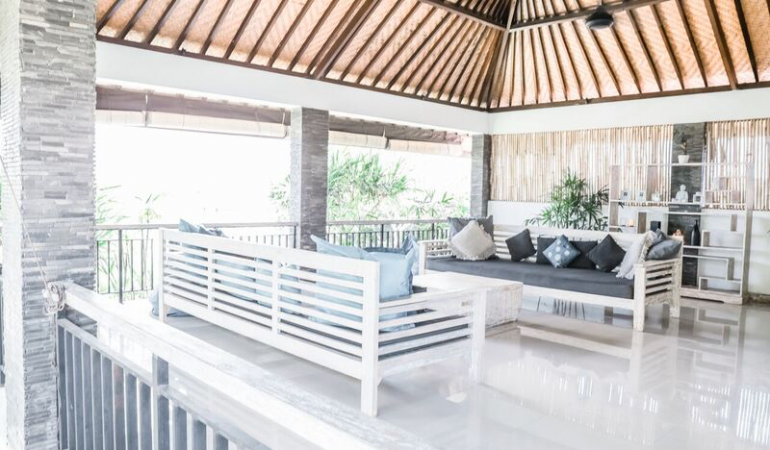 This villa sleeps 10 people in total. 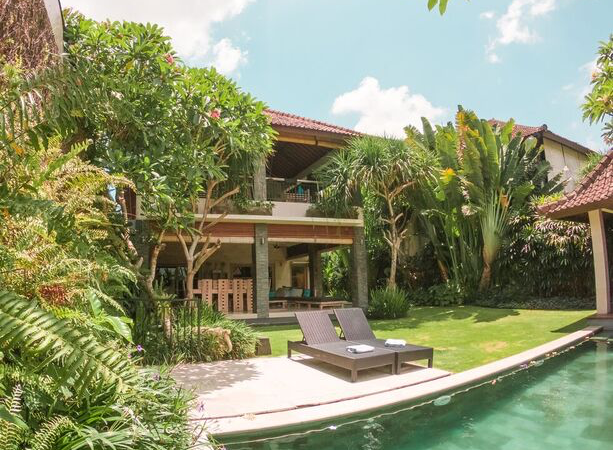 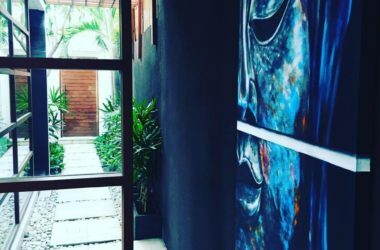 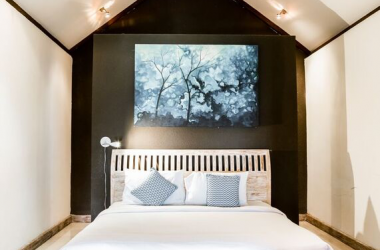 There are two separate lounging areas one upstairs overlooking the lush tropical gardens and pool area downstairs and the view over the countryside and one downstairs. 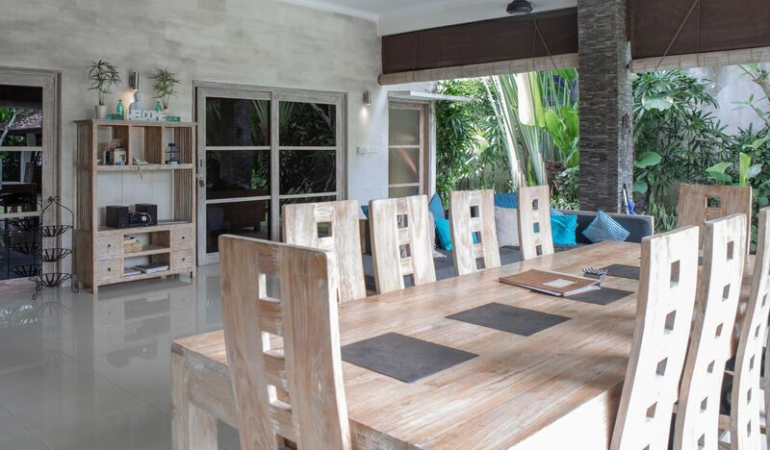 The dining table seats 10 people easily. 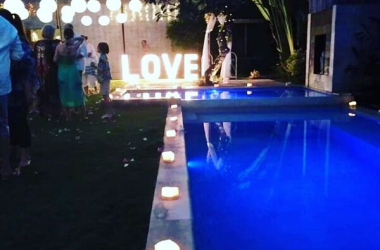 The massive grassed area is perfect for a wedding or large gathering with a Gazebo adjacent to the large pool and a separate sun deck area which gets the best sun out of all the villas. 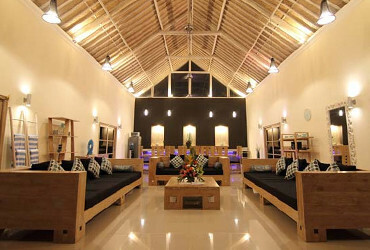 The staff organise many birthdays and special occasions in the villa. 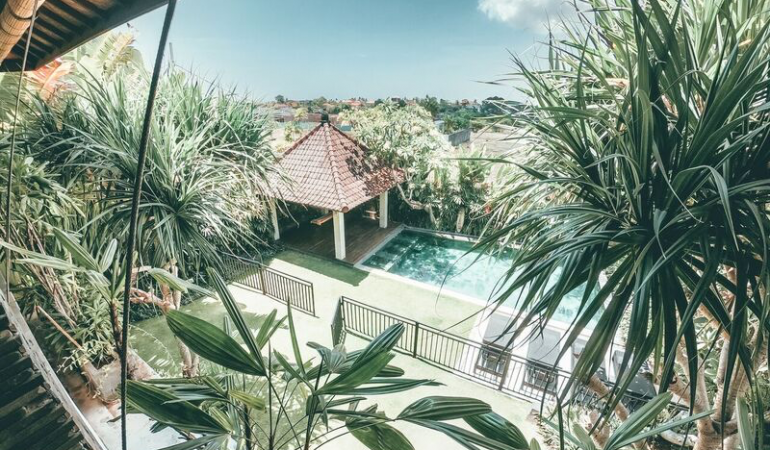 You can anything from a BBQ to fire dancers, Balinese Dance Performances and Weddings. 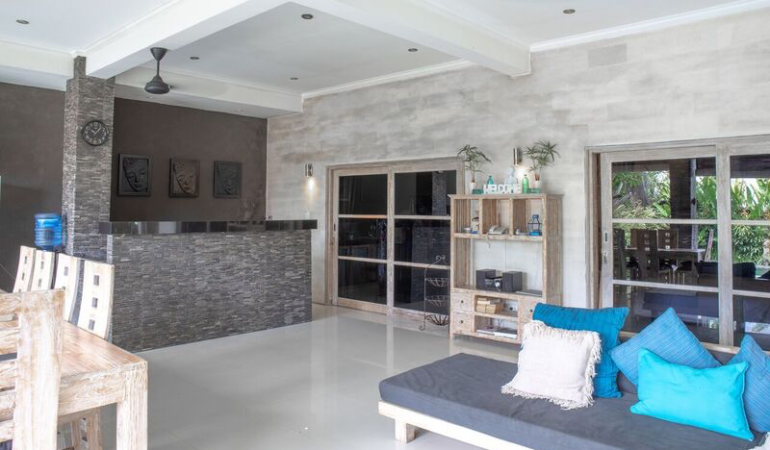 All our villas have their own private pool, large fridges, water dispensers, Security Safe, hairdryer, TV, DVD Player, IPod Dock Stereo System, linen & pool towels. 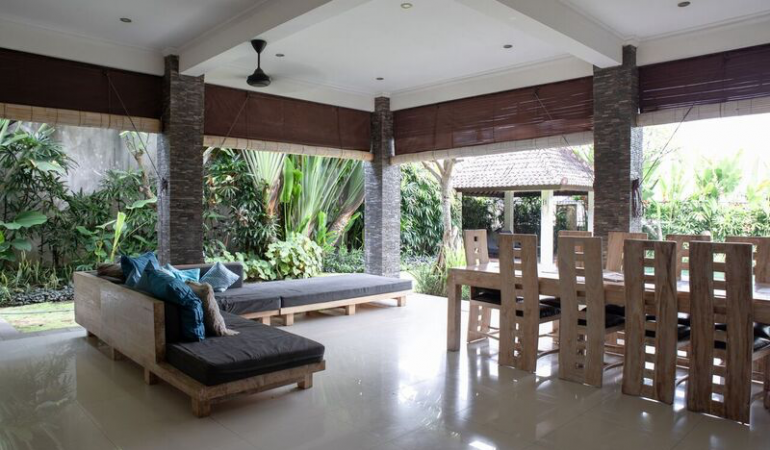 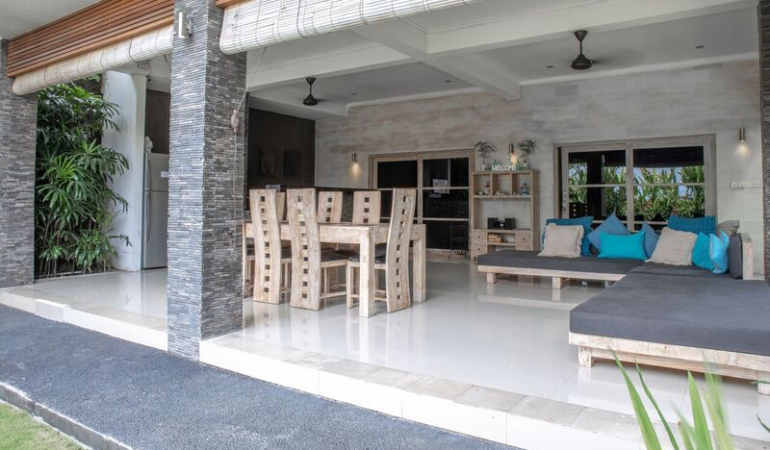 This villa is perfect for 2 families or 4 couples. 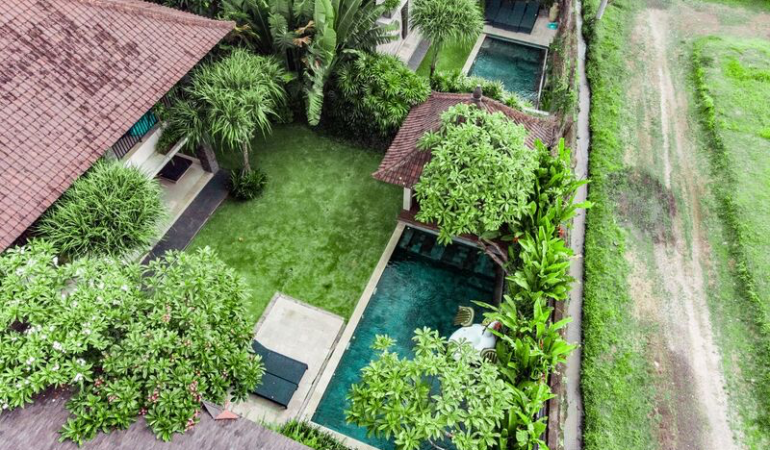 This villa now has a pool fence.